Cryptocurrency freelance writer. Many hours dedicated to researching on cryptocurrencies, the blockchain, and so on has increased my experience in this field. With lots of blockchain projects out there, it can be real work to figure out which project is best and has the most attention by the public. There are some things to consider before investing in blockchain projects. Metrics may vary from person-to-person, but the majority consider the purpose, market capitalization, price, funds raised and allocation of funds, and whitepaper of a project. Having to judge a blockchain asset based on all above-listed criteria may be a whole lot of work, possibly for financial market professionals. The good news is, some platforms will give you all you require at a glance. Most of these platforms are similar but have their unique differences. Almost everyone knows about CMC as it’s often been referred. It’s like the google of the web. CoinMarketCap ranks cryptocurrency coins/tokens the total value of the project. This is derived by multiplying the price by circulating supply of that cryptocurrency. 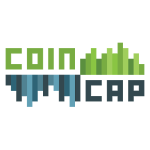 The Coin Market Cap at a glance lets you know the value of each cryptocurrency. You also see an average price of the cryptocurrency on all exchanges. It has a column that displays how much volume of the cryptocurrency is being traded in the past 24hrs, and you also get to see the percentage increase or decrease as well. On this platform, users can signup to follow many updates in the cryptocurrency world. CoinCodex doesn’t just give information about cryptocurrencies alone; you also get to follow news events about them. If you have doubts on the best cryptocurrency exchange to trade your coins, CoinCodex ranks exchanges based on their Market Shares and daily trade volumes. You also get to see a list of active, upcoming and completed ICOs. The easy to use web portfolio manager helps keep track of assets purchased. Moreover, coincodex have a news section to keep you updated with the latest events in the cryptocurrency world. A great project can be discovered from its implementations. If a lot has been spent to build a platform, then that tells you how far it’ll go. You also don’t want to commit your finances on a platform that has so many flaws. CoinCodeCap ranks cryptocurrencies based on their tech development. They currently gather repositories of all cryptocurrencies or projects. Thier ranking algorithm major all repositories and cryptocurrency project and not just a particular one. Criteria like Commits, Forks, Stars, and Watchers are put in mind when ranking. When so many are committed to its development, then it’s a sign that such project is going to last for a long time. Another way to consider investing in any particular blockchain project is through continuous observation of activities taking place on its blockchain platform. Letting HYPE and FUD cloud your judgment of making investment decisions has caused so many to invest their money in wrong projects in the cryptocurrency market. With Block’tivity, you can observe different projects that most people are into. On Block’tivity, you can see a clear picture of which platform is best to avoid loss of funds. Observing projects being used by many is one of the best predictive indicators to know the value of a cryptocurrency or any blockchain project. This is a crypto asset metric and ranking site that lets you track any cryptocurrency asset. Though it’s still in a beta phase, it has a wide range of parameters compared to other platforms. It claims to allow investors make comparisons and make much better investment decisions. OnChainFX also focuses on monetary policies that are likely to affect cryptocurrency assets. One clear difference between this platform and the rest is the ability to forecast price for the future. It’s able to use past rates to determine what happens in the future. This may not be the case, but if a platform continues in its pace and growth, it’s likely to hit levels forecasted. Here, you get up-to-the-hour information on how top cryptocurrencies are performing in the market, making it easy for you to make decisions. BitInfoCharts is one of the trusted platforms that provides statistics of different cryptocurrencies in the market. It also compares between most used cryptocurrencies, using prices, market capitalization, and more as its metrics. The platform is constantly making improvements and adding new features to better give an accurate analysis of the diver’s cryptocurrencies in the market. With these credible and verifiable statistics, BitInfoCharts has proven to be one of the leaders among other cryptocurrency analysis platforms. This platform describes itself as the site for the cryptocurrency investors. With for sections on the platform; Market, Analysis, Investment, and Predictions, CoinCheckup delivers up to date information on crypto assets. The CoinCheckup platform is an excellent place for crypto newbies and professionals as well. It doesn’t instruct you on how and where to invest, but it gives pretty reliable information about each asset. The platform also collects objective data and algorithmically scores assets listed on the platform on daily bases. The platform also clearly displays a daily, weekly, monthly, and quarterly percentage changes of all assets, this gives you a clear analysis of how the coin is doing over time. 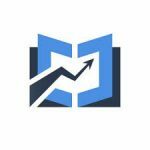 CoinGecko is a cryptocurrency ranking and evaluation platform that’s designed to carefully scrutinize different coins and provide users with quantitative data through different metrics. It’s similar to CoinMarketCap with its uniqueness. CoinGecko can also filter cryptocurrencies based on their community back up, developments, and public interests. 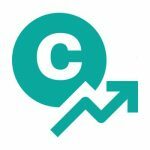 CoinGecko uses a proprietary ranking algorithm which takes into consideration preset factors. It also reviews and constantly refines it’s platform periodically. Aside from presenting information about prices and all, CoinGecko has a section for ICOs. This is great for investors looking for fresh projects to invest in at a very low price. This platform deals with cryptocurrency trading. Its international exchange allows users buy certain currencies in anticipation of a market movement to make a profit, and sell at a later time. On CoinCap, users can trade cryptocurrencies much more relaxed than in the foreign exchange market. You just need experience on ways to estimate price and available supply of assets before you purchase. Over 500 cryptocurrencies are available for trading on the platform and you don’t need to have a lot to purchase cryptocurrencies. With this global platform, all investors need are all in one place. Investors can analyze, buy and sell cryptocurrencies with ease. The CoinLib platform offers lots of features to its users. The website has a clear setup of all assets, and they are being updated in real-time prices. Users can sign up to enjoy many other benefits, like keeping track of your favorite assets. Beyond those benefits, users can set price alerts to get notified if their cryptocurrencies hit certain prices and also get industry-wide news on different assets. With this informative and yet simple took, users, get all they need while navigating the amazing crypto world. The CryptoCompare is a platform where like minds get to discuss latest events about their cryptocurrencies. The platform serves as an overview of various types of digital currencies and wallet providers, mining information, and exchanges. 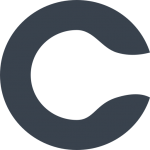 CryptoCompare lists only the coin/tokens with the considerable number of volumes. They are mindful of which asset get listed on their platform to filter out the bad ones. New and professional investors will find the platform useful as it’s a place where you can get educated on crypto assets. CryptoSlate is a cryptocurrency news site with a section which lists all cryptocurrencies. Also, like the coin market cap, the platform also gives a clear understanding of what purpose every cryptocurrency is meant. This can be insightful when you consider investing on cryptocurrencies which are for day-to-day transactions alone. Market coin and token analysis at the top differentiate the difference between cryptocurrencies. It further breaks them down to show how many proof-of-stake and proof-of-work coins that’s available in the market. This seemingly small details can go a long way in assisting users in making decisions. The above-listed platforms are all great places to get informed about cryptocurrencies. All the above-listed platforms, though similar, have their unique features which makes analyzing the cryptocurrency market much more accessible. To make a more accurate decision, you can combine 2-3 platforms of choice; this extends your knowledge about the particular asset. Investing in cryptocurrencies are high risk and requires a lot of knowledge. It is therefore essential to get all information necessary on any asset you choose to invest, and you should never invest what you can’t afford to lose.